Trek, a leading producer of bikes and accessories, partnered with Axis Display Group to develop a dynamic selling tool to aid shoppers in their bike selection process, and support the many elements of Trek’s overall Precision Fit Process. The Precision Fit Process is a robust system designed to help cyclists get the most out of their bikes. In-person interviews, on and off bike assessments, and a series of interactive tools help trained Trek associates assure customers receive the perfect bike, with the best possible fit, optimized for power and efficiency, while alleviating common issues related to cycling pain and discomfort. 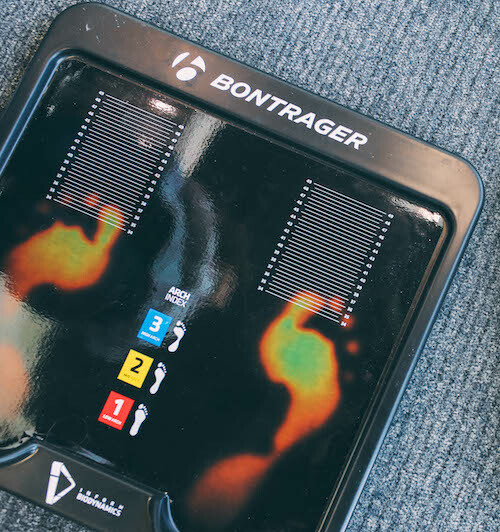 A key component to this system's success was the necessity of an in-store tool able to guide shoppers through their bike selection process and see their results come to life. In conjunction with NEXT/NOW, Axis Display Group created an award-winning interactive fixture utilizing various modes of technology that quickly sized shoppers, guided them through an intended use questionnaire, suggested product and accessory options, and made custom purchasing recommendations. AXIS developed and engineered the aesthetic of this fixture, consulted on user experience and interface, sourced the hardware, and managed the overall project, while NEXT/NOW wrote the program. The technological piece of this fixture allowed the tool to expand beyond brick and mortar. 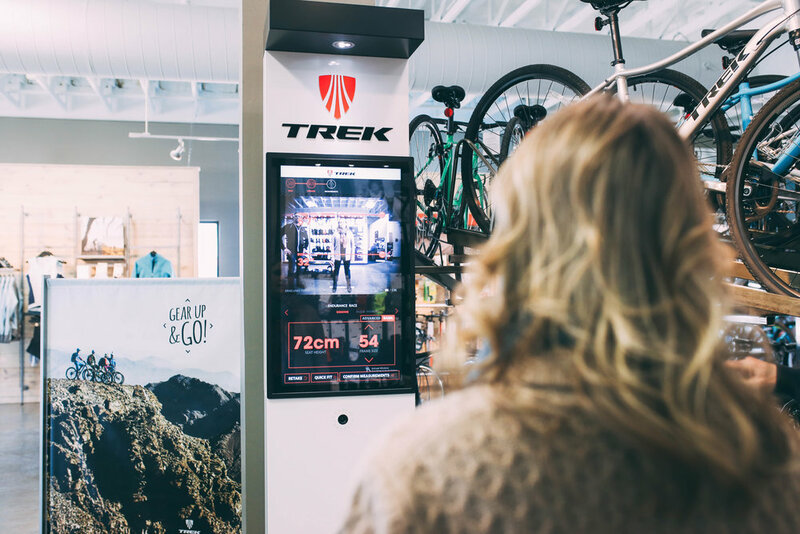 Shoppers were given the ability to start the bike fit process online, ordering directly from Trek’s web platform, or upload their results to a physical Workstation in order to navigate and test the recommendations in-store. Conversely, shoppers could also upload results from the in-store tool and continue their research at home.